Clues to the Knights Templar Treasure - Is it Buried on a Tiny Canadian Island? Clues to the Knights Templar Treasure – Is it Buried on a Tiny Canadian Island? 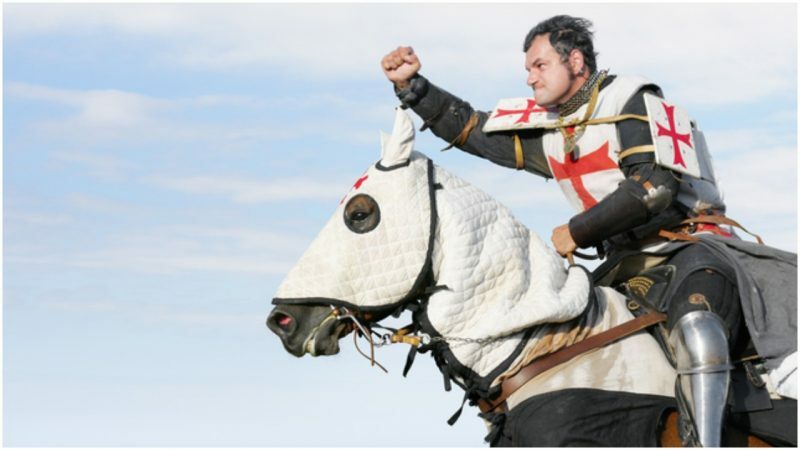 Established around 1119 AD, the Knights Templar was a Catholic military order of knights that was active for about 200 years. The order was recognized by the Pope and was also known as the Order of Solomon’s Temple, and the Poor Fellow-Soldiers of Christ and of the Temple of Solomon. Because that was a mouthful, they were often referred to simply as the Templars. In all of the knightly orders, the Templars were among the most powerful and richest. 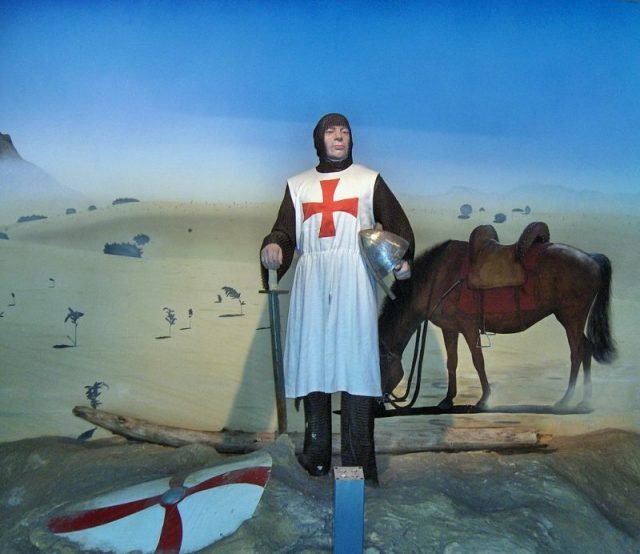 Their distinctive white mantles with a large red cross made them easy to recognize, and they were known for their skilled fighting abilities, particularly during the Crusades. However, when western power in the Holy Land was lost, support for the Templars declined, and several were arrested and burned at the stake, by order of King Philip IV of France. The order was officially disbanded in 1312 by Pope Clement V, under further pressure from King Philip. During the 200 years that the order was operational, its members amassed great wealth. When rumors started circulating that King Philip had plans to arrest the Templars and have the order terminated, the knights fled with their treasure. But the mystery remains as to where it ended up. 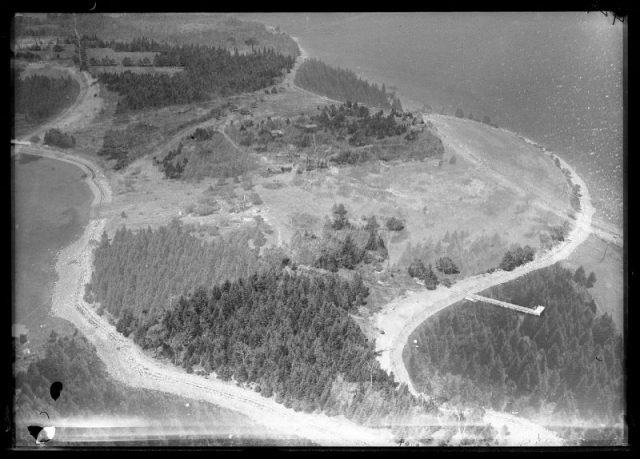 Island and Wharf, Oak Island, Nova Scotia, Canada, August 1931. 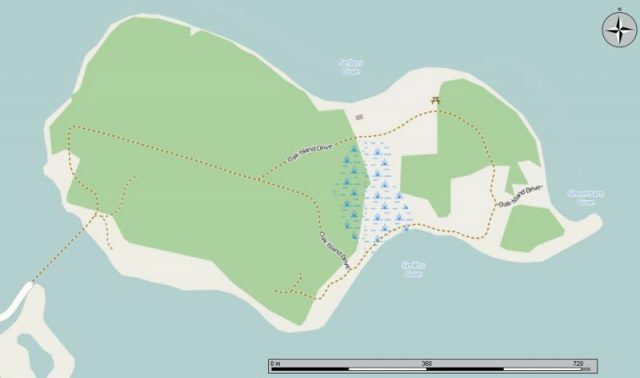 One possible location is believed to be Oak Island. What makes this particularly intriguing is that Oak Island is nowhere near France, nor the Holy Land. It is a small island about 600 feet (200m) off the coast of Nova Scotia, in Canada. It is only about 140 acres, is privately owned, and is best known for the many theories about buried treasure that surround its history. Some historians, including Tony McMahon, speculate that some of the Templars took parts of their treasure north, to Scotland (the rest is believed to have gone to Portugal) where they bided their time with allies before embarking at the end of the 14th century to Iceland, Greenland, and on to Vinland – the Viking settlement in North America, including L’Anse aux Meadows, in Newfoundland. Mi’kmaq pictograms show European men, and, according to McMahon, some of their art, including their Grand Council flag, incorporates a red cross on a white background. 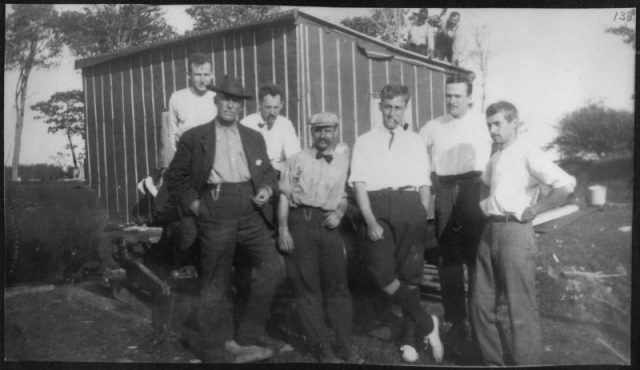 Photograph of Franklin D. Roosevelt and others at Oak Island in Nova Scotia. This theory is echoed by Templar researcher Gerard Leduc, but with the treasure arriving much earlier. 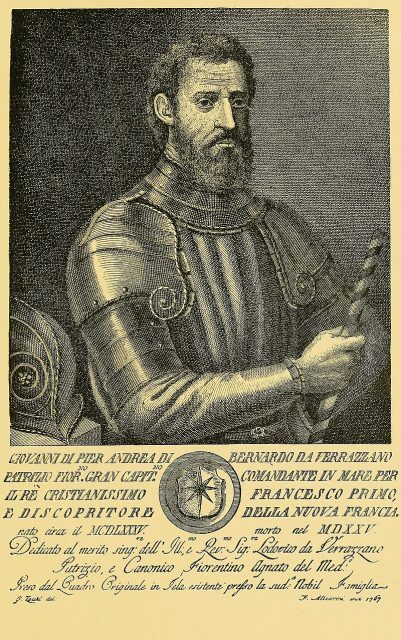 Leduc believes that the Oak Island treasure is marked on a map from the 1500s by an Italian explorer named Giovanni da Verrazzano. The map bears the inscription “Cavo di Brettoni CLMERI,” which translates roughly to “the well of Brittons [sic] in the year 1150.” Leduc states that this points to the property owned by the Templars in Brittany and that they may have been on Oak Island simply as explorers, not outlaws. While some coins have been found on Oak Island, they cannot be looked at as conclusive evidence, as coins are terribly unreliable proof. However, one item (or rather, a group of items), known as Nolan’s Cross, is of interest. Discovered by Fred Nolan in the 1960s, Nolan’s Cross is a group of boulders that form a Latin cross. Author Petter Amundsen, in 2003, suggested that the cross is actually part of a larger formation that resembles the Cabbalistic Tree of Life on the island. According to Rabbi David Joseph Hayim Azulai, a book of Jewish mysticism and the source of the Cabbala – Zohar – was brought to Spain on a Templar ship, linking the Templars to the Cabbalistic Tree of Life. 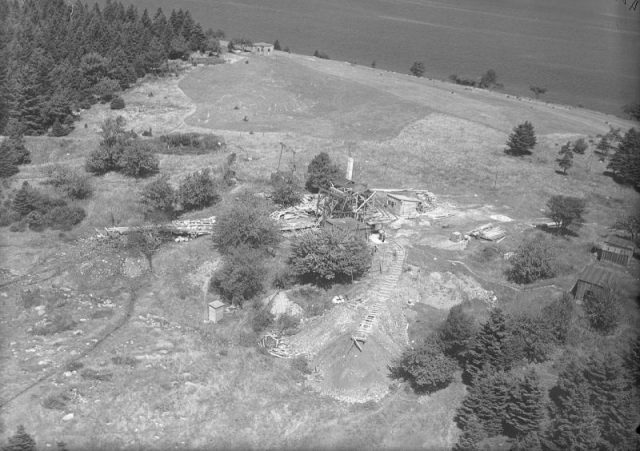 Digs and buildings, Oak Island, Nova Scotia, Canada, August 1931. Nolan’s cross is a good example of a design within a design. It has a Christian Cross, but also the Jewish Tree of Life. Another similar example can be found in the Pentland Hills in Scotland, where the Templars had reportedly been before embarking on a voyage across the ocean. And, like the Oak Island cross, the Pentland Hills cross also points to Jerusalem. Even still, no conclusive evidence has yet been found linking the Knights Templar directly to Oak Island. Theories and speculation abound, but nothing concrete has been unearthed. However, there are enough items from the middle ages that have been found from Newfoundland to the Great Lakes that suggest that some sort of medieval contact was made with North America. Was it the Templars? Or some other early explorers who came across the Atlantic well before Christopher Columbus sailed the ocean blue? Only time will tell. Until then, Oak Island continues to guard its secrets.